In the latest episode of Building Local Power, guest host Stacy Mitchell, ILSR’s co-director, interviews Greg LeRoy, Executive Director of Good Jobs First. Good Jobs First promotes corporate and governmental accountability and smart economic development by shining a light on subsidies that local governments give to big corporations. The two discuss Good Jobs First’s research into these subsidies and the ways in which local government across America shill out billions that could be invested in local businesses. “The dirty little secret is that incentives almost never determine where a company expands or relocates… But the system has evolved in a way that it’s so easy for companies to get big piles of cash or big piles of cash breaks that they feel remiss if they don’t play the game and play states and cities against each other and whipsaw them back and forth. It’s a very, very corporate dominated process,” says Greg LeRoy of Good Jobs First on the pervasive effect subsidies for big companies has on local economic development. But as Greg goes on to explain, a recent change in an obscure accounting rule could make a big difference by exposing these giveaways to more public scrutiny. 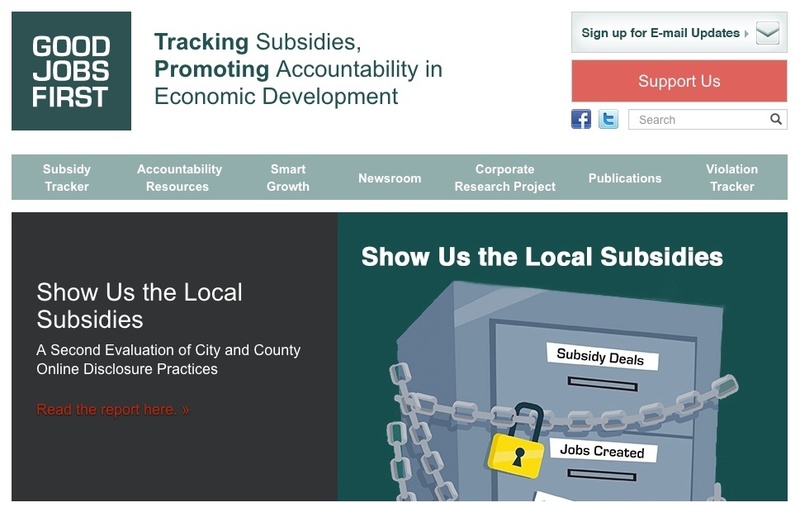 Check out Good Jobs First’s great “Subsidy Tracker” tool, give it a whirl here: http://www.goodjobsfirst.org/subsidy-tracker. 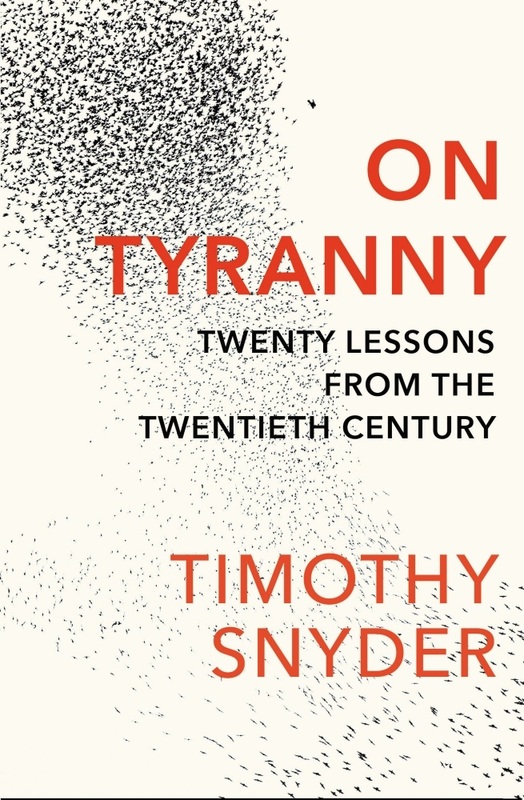 Greg recommended On Tyrrany by Timothy Snyder, you can find it from an independent retailer here: http://timothysnyder.org/books/on-tyranny-tr. Stacy Mitchell: Hey Greg, I heard you had a statistic for us today. Greg LeRoy: I sure do Stacy. Amazon, which has to build all these fulfillment and sortation centers, has now we compute received more than $1.1 billion in incentives, state and local economic fulfillment tax breaks for those facilities, which means they’ll soon leapfrog Walmart. Stacy Mitchell: Wow. Amazon has been picking up our public tax dollars in order to expand? Stacy Mitchell: Wow. Hello and welcome to Building Local Power. I’m Stacy Mitchell. I’m co-director of the Institute for Local Self-Reliance, the organization behind this podcast. We have a great show for you today. 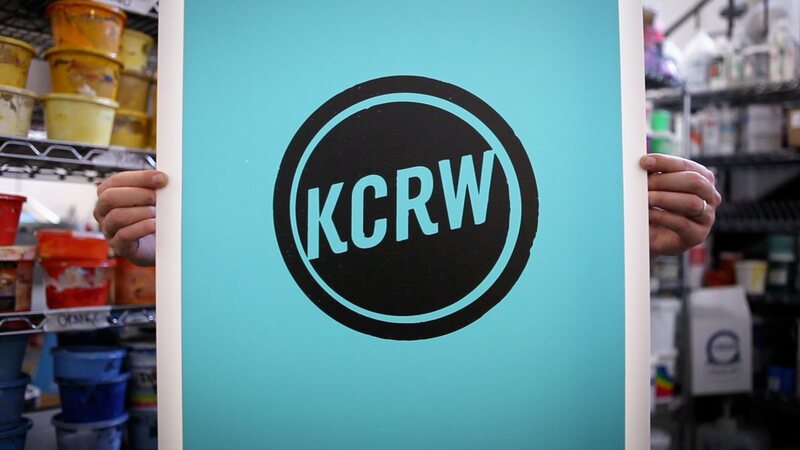 My guest is Greg LeRoy, who’s voice you just heard. Greg has been called God’s witness to corporate welfare. I love that. Someone once called me the Joan of Arc of small business, which doesn’t bode very well for my longevity, but I like the ring of it. Greg is the executive director of Good Jobs First, a resource center for community organizations and public officials looking to shed light on all the subsidies and tax incentives that cities and states are giving to big companies. They do a lot of great work on advocating on how we can reform these programs to better serve communities. It’s been really hard to get cities to stop doing these deals, but there’s actually a new rule taking effect this year that could be a big help, and that’s one of the things we’re going to talk about. Before we get started though, a reminder to please subscribe to this podcast and rate us on iTunes, Stitcher, or wherever you find your podcasts. Each review helps us reach a wider audience, so it would be great if you could help us in that way. Greg, welcome to the show. Stacy Mitchell: I think when people think about giving public tax dollars to a business to expand maybe they think about, you know, a startup company or … You know, that’s maybe struggling to get the financing that it needs, or maybe it’s a low income neighborhood that really needs jobs and this is a small business that they could help out to really grow. But it seems like what your research finds is that that’s just not actually the picture of how these deals work. Tell us a little bit more about the scope of these deals and who is … What companies really are getting this money. Greg LeRoy: It’s estimated, best ballpark number we have right now, that states and cities spend at least 70 billion, with a B, dollars a year in economic development incentives, and by far most of that is tax breaks, property tax abatements, sales tax exemptions, corporate income tax credits, R&D credits, film production credits. There’s a big menu. The average state has dozens of such programs on the books, which in turn are often locally administered. Tax increment financing districts, enterprise zones, industrial revenue bonds, all those come under this category. The truth is, as you said, although some of the programs are justified in the name of helping small businesses or helping struggling neighborhoods, and in some cases that’s the way the programs were originally structured and written, over time they’ve become deregulated. Over time they’ve become give-mes that can go anywhere. So we have TIF districts at the fringe of urban areas piling up apple orchards for Walmart Supercenters. We have subsidies for Amazon sortation centers that are just undermining Macy’s and K-Mart and Sears and all the other retail chains that are laying people off. We have an affluent suburb of Missouri, Des Peres, Missouri, outside of St. Louis, saying or mall is blighted because we don’t have a Nordstrom yet. We need to give a $31 million TIF deal this multinational REIT that owns this mall so that they won’t be blighted anymore and can subsidize bringing in a Nordstrom. It’s gotten really perverse. The anti-poverty argument has been turned upside down and on its head frankly over and over. Stacy Mitchell: Wow. Wow. It sounds like there’s both … It’s money going to affluent areas, money going to big companies that could afford to do their own expansion, and your money that’s going to suburbs and not for maybe redeveloping the neighborhoods that most need it. Is that a safe way to sum it up? Greg LeRoy: That’s exactly right, money where it’s not needed. It’s not needed because big companies already have access to capital. Affluent areas don’t need it because they’ve already got lots of opportunity and jobs and a health tax basis, activities that are really making things worse in terms of sprawl and inequality. Stacy Mitchell: Uh-huh (affirmative). Yeah. How do these deals go down? I mean I assume cities … You know, they sort of set up programs or states set up programs, but like how do companies negotiate to get those and what do we know about that process? I guess as part of that question, what I’m sort of thinking is why are cities so gullible for … I mean Amazon has got more cash than God. Why are we funding its warehouses? Greg LeRoy: There is a long history here with names that we can name. I actually wrote two book chapters about this whole system that evolved. It’s exactly 80 years old this year now. It was born in New York City with a company called The Fantus Factory Locating Service, which was the granddaddy of site location consulting firms. There are many hundreds of these companies now, but these are companies that are the middlemen. That is they represent companies looking for places and they orchestrate the so-called war among the states, which was a phrase coined 41 years ago by Business Week, to play states against each other, and then cities and counties against each other as companies decide where to locate. The dirty little secret is that incentives almost never determine where a company expands or relocates. They can’t, because they’re too small. They’re too small a cost factor for companies. But the system has evolved in a way that it’s so easy for companies to get big piles of cash or big piles of cash breaks that they feel remiss if they don’t play the game and play states and cities against each other and whipsaw them back and forth. It’s a very, very corporate dominated process, I guess is the best way to put it. The underlying ideology from our point of view as taxpayers and people who vote for our elected officials is our public officials are never allowed to cooperate. They’re never allowed to talk to each other. At the moment, when companies are playing governors or mayors or county executives against each other, those public officials must not talk to each other. The unwritten threat is that if they do, if they do cooperate and compare notes and push back, they will be blacklisted the next time by the site location consultants. They will not be allowed to compete for deals that are being steered by the consultants. Stacy Mitchell: Wow. So what you’re saying there is that these consultants will basically go in and say hey, Missouri, if you talk to Kansas, or if one city talks to its suburbs and they all work together, then we’re just going to blacklist you and we’re going to influence all these other companies that maybe we’re thinking about locating a factory or some other thing in your community, we’re going to say no? Greg LeRoy: That’s exactly right. Look, the meaningful unit of competition for economic development investments is the metro area. It’s the labor market, right? Companies don’t locate specifically in one suburb of Kansas City. They say we like this labor market. We like proximity to these suppliers and these customers and this infrastructure and this quality of life. It’s got what we need. We could locate probably in six or eight or 12 different places in this metro area and get all the things we want from this metro area. That’s their leverage then of playing places against each other. But at the end of the day, the workers taking those jobs are going to live all over the place and the tax based benefits of those jobs are going to migrate all over the place, including two states in the case of Kansas City. Stacy Mitchell: Uh-huh (affirmative). One of the things that you’ve been really outspoken on is why we shouldn’t give any subsidies to retailers in particular. You mentioned Walmart getting subsidies, Amazon getting subsidies. What’s different about retailers getting these dollars versus say a manufacturer? Why is that worse for cities to do? Greg LeRoy: 15 and 20 years ago we did sort of the classic economic argument. We said retail is kind of like a secondary or even kind of tertiary economic activity. Retail is what happens if people have disposable income. You should just make sure as an economic development official that people have great paychecks and lots of disposable income and then retail will take care of itself. They’ll be lots of stores and restaurants and leisure time activities to soak up those disposable dollars if people have them. Secondly, retail has really lousy ripple effects, right? Where are the upstream ripple effects of a Target or a Walmart? They’re mostly in China. That’s where the things get made that get sold in these big box stores. The downstream ripple effects, that is those generated by the buying power of the people that work at the stores, are also really paltry, because the jobs are poverty wage, part time. People are not eating out and buying washing machines and getting home mortgages based on Target paychecks or Walmart paychecks. We know that, right? Now, today there’s the whole online revolution going on and we say to public officials if you actually seriously think you know what’s going on in retail and you think you know what it’s going to look like 10 years from now, I’ve got a bridge I’d like to sell you, because there’s all this convulsion going on, right? Malls are getting repurposed. Big box stores are getting closed. Long ago the word word gray fields was coined for dead malls. Long ago the phrase ghost boxes was coined for dead big box stores. It’s a bloodbath out there, and you would throw money at that and think you’re investing in that kind of development? Get real. Stacy Mitchell: Yeah. I mean we’re going to lose so much retail space and we’re so overbuilt. How much of this stuff is going to close? It’s astonishing to me to open up the news every day and just see one more big box store, one more mall being built, and often, as you say, with goodies from local officials. If it’s not subsidies, it’s special permitting that local businesses don’t get and so on. I mean it’s just crazy. Stacy Mitchell: Wow, and they’re going to end up spending more for it because all that sprawl costs more for the roads and everything else than … We’ve hollowed out all this great useful space in the middle of the city. Yeah, that’s amazing. Has that study really gotten the attention of local officials elsewhere? I mean it sounds like … When you look at the kinds of numbers in there, that it would sort of shock people maybe into rethinking what they’re doing, but has that been the case? Greg LeRoy: You know, there were limited responses at the time. The issue of reforming TIF has been a longstanding bipartisan sore spot in Jefferson City, the capital of Missouri, where both Republican local elected officials, developers, existing retail chains have been pressing state legislators to fix the problem and quit paying Peter to rob Paul, quit undermining existing employers with taxpayer dollars, and they ran up against the developers who wanted to keep getting paid to build out the fringe with more and more subsidies. They never got reform. Stacy Mitchell: That’s too bad, but we have a new rule coming this year. Stacy Mitchell: That’s what I’m looking forward to talking about, but first we’re going to take a short break. You’re listening to Greg LeRoy of Good Jobs First. I’m Stacy Mitchell with the Institute for Local Self-Reliance, and we’ll be right back with more of this conversation. Nick Stumo-Langer: Yeah, Stacy, so part of our mission here at ILSR is that we want to support locally owned businesses. We want to say you should turn to your community, you should invest in your local economy by buying local, and since we’re a listener supported show you can go to ilsr.org/donate and you can donate to help support the mission of ILSR and all the work that we do. Go to ilsr.org/donate and you can invest in your local community and you can invest in the work to support your local community. Stacy Mitchell: We’re back here with Greg LeRoy of Good Jobs First. Greg, one of the things I want to ask you before we turn to the question of how we fix this huge problem of corporate subsidies, you’ve recently done some really interesting research about the disparity and who gets them. I think most people sort of think okay, yeah, we give these deals to big business, but there are a lot of programs for small business too. What you found was really eye-opening. It suggest that the playing field is not at all level. Tell us about that research and what your results were. Greg LeRoy: Sure. We looked at it from two different ways to try and be as rigorous and thorough as we could. We said first of all let’s look at a big sample of programs in which theoretically companies of every size can get in the door, there’s no barriers to entry. We found 14 programs … Or 16 programs in 14 states, and we looked at more than 4,000 deals. We said who are the companies getting these deals? Overwhelmingly the answer was big multi-state, multi-national companies. 70% of the awards and 90% of the dollars were going to big companies, not local, not entrepreneurial, not startups or struggling … Nothing like that. Then in response to some people who said oh, maybe your cherry picking programs or maybe you’re cherry picking states, we weren’t. We said okay, let’s look in very close detail at three states and let’s look at every dollar they spend in the name of economic development. Let’s look at their whole menu, their whole budget, including their technical assistance budgets to small companies, and let’s spread that out too. The answer was at least two-thirds, maybe three-quarters, there were some dollars we couldn’t assign, going to big business. Less than a third, maybe as little as a fourth, going to small business, even when you count a bunch of stuff that’s not tax breaks, it’s just direct technical assistance and counseling and mentoring and all that jazz, for small businesses. Stacy Mitchell: That’s really stunning, so 75%-ish of all the dollars out there are going to the biggest companies and small businesses really lucked out. You know, the reason that kind of drives us crazy here at ILSR is that we know that small businesses create the lion’s share of new jobs, that they’re responsible for a lot of the great innovation in the economy, and they make our communities stronger, so it’s just the idea that we’re basically watching as their tax dollars are taken to fund their biggest competitors is really I just think shocking and tells us something about what’s wrong with economic development. Greg LeRoy: We completely agree. Obviously there’s different ways people slice and dice the data about exactly what share of growth and innovation comes from which size companies and which age of companies and so on, but it’s undeniably true, no matter which way you slice the data, that those companies that matter the most and pay the biggest returns if we help them are getting shortchanged. That’s just undeniable. Stacy Mitchell: Right, and we’re wasting our dollars. Stacy Mitchell: Absolutely. One of the great things that you guys have created is this thing called Subsidy Tracker, and I just love it. Our listeners might know about … It’s something that I almost sort of think of as related, which is OpenSecrets. You can go to opensecrets.org and you can put in a company and you can find out which politicians they’re giving campaign dollars to. It’s a really great way to track the way big business tries to influence our elected officials. Subsidy Tracker is kind of the reverse. You can see which cities are giving big dollars to big corporations. So you can go in there and put in your state, you can put in the name of a company, you can put in all sorts of perimeters to see just what you want to see, and it will be really eyeopening. I encourage everyone listening to go check out that tool. Just this morning I decided to pull up Minnesota and I just looked at recent deals in Minnesota and there were some really big ones for Best Buy, Target. Delta Airlines, boy they got a lot of money from Minnesota, or in the state of Minnesota. You can pull up individual companies and see where they’ve picked up all this money. It’s a great resource. How do you maintain all that data, because I mean it’s a vast collection pulled from all over the place? Greg LeRoy: We’re crazy, that’s how. So beginning a decade ago we began shaming the states on whether or not they disclosed their awards online, company specific information about incentive awards online. At that point, fewer than half the states had anything at all, even one program, online. We continued to shame them with subsequent report cards and in 2007, 2010, 2014 and other things in between, especially during the Recovery Act, and today I’m proud to say every state to some degree discloses records online, and whenever they do that we grab it electronically. We scrape their websites and we put it into a big spreadsheet and we improve the data and then we post it at Subsidy Tracker. You can just go to subsidytracker.org and it’ll take you to the right place on our website. About 20% of the data is not from disclosure websites. It’s from us filing Freedom of Information requests with state governments, either tax departments or commerce agencies, and getting the data. We’re the original publishers of about the fifth of the data. We also have a lot of federal data on the website now. We have more than 140 federal programs captured and posted there as well. Then we assign all those awards to the states and cities where the deals occurred. We update the Subsidy Tracker. In fact, we’re going to post next Tuesday a big new edition where we’ve added a bunch of new program years of data than we had before and some new cities and counties. We’ve also started shaming cities and counties on their transparency practices. In fact, we just in March of this year issued our second local transparency report card study and continue to find that the majority of big cities and counties are still in the Dark Ages. They’re still not disclosing even their property tax abatement recipients or their tax increment financing local recipients. Even just the one or two major local programs are not online yet, which we think is nuts. The other big value add is that we attach corporate subsidiaries to their parents, which really helps people understand who the real ultimate beneficiary is here. For instance, if you dial up Union Tank and Car Company, you’ll notice that that’s actually owned by Berkshire Hathaway, the big conglomerate led by Warren Buffett, and you’ll see it right next to companies you’ve never heard of before, like Nebraska Furniture Mart or GEICO, the big prominent insurance company, or NetJets, or a bunch of other obscure holdings that are actually the same company. Stacy Mitchell: Greg, one of the really hard things about this issue is that despite how outrageous it is and the fact that I think, you know, both conservatives and liberals should be appalled by this, conservatives because we’re giving away all these taxpayer dollars, and liberals because we’re giving them to big business, I mean it seems like the kind of issue that would outrage everyone, yet it’s astonishing that this still goes on. But just in the last year or so there’s been something that’s happened, sort of an obscure change in an accounting rule, and it sounds like that could make a really big difference. Can you tell us what that is all about and what it might mean? Greg LeRoy: It’s something that we have been hoping for for a long time. The problem, as you put it, is everybody wants to talk about the benefits of these deals. Politicians just want to brag about the jobs and the alleged tax benefits, even though the costs of these deals are often impossible to determine because the records exist in lots of different agencies, they play out over decades in many cases, and we can’t have an informed cost benefit debate because we don’t know the costs. 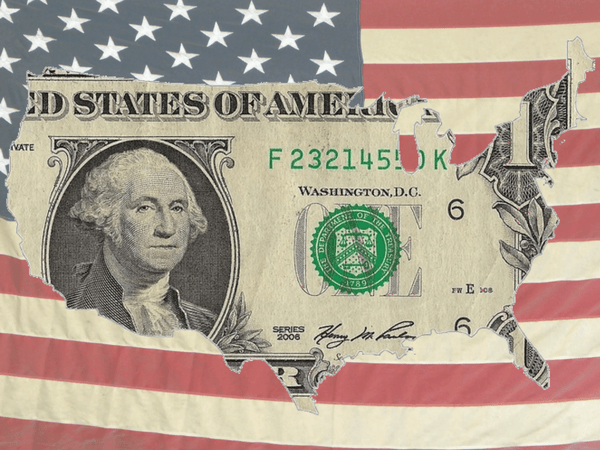 That’s finally starting to change, thanks to an obscure body called the Governmental Accounting Standards Board, or GASB, which despite it’s name is not a government body. It’s just a professional standards setting group that basically is the traffic cop for how governments keep their books. It was set up decades ago by all the big associations of public officials in the United States as a way to standardize financial record keeping, especially so that local governments can get good credit ratings and lower interest rates when they issue bonds, and that helps us all. GASB has this body of rules called Generally Accepted Accounting Principles, or GAAP, and they amend GAAP periodically by issuing statements, which are just updates or amendments, improvements, continuous improvements to GAAP. The one we love is called Statement 77 on Tax Abatement Disclosures. That’s the one that’s now in effect. It covers financial reports for calendar year 2016 and beyond, so we’re getting a smattering of reports now from governments who close their books on December 31. We going to get a tsunami of data later this year, because most governments close their books on June 30 and will issue their financial reports between Halloween and Christmas basically. We think about 50,000 bodies of government will have to report now in their financial report how much revenue they lose to each economic development tax abatement program. By tax abatement, I don’t just mean property tax abatements. I mean sales tax exemptions, income tax breaks, anything in which there’s a deal between government and the private sector for economic development. Stacy Mitchell: Do you have any early indication of whether … What do you hope for that’ll come out of this? Greg LeRoy: We think that that $70 billion estimate I gave you on the top of the show may get really leapfrogged. We would not be surprised if that number turns out to be quite conservative. Other people have argued that in the past and we can’t disagree with them. The trouble is we just haven’t had the data. That $70 billion figure is a very carefully estimated number based on tons of extrapolations, because in most states we just don’t have good records to make good educated guesses. It’s safe to say many 10s of billions of dollars are going to get dragged out of the shadows, spending that’s been going on all these years that nobody could see before and nobody knew about. Stacy Mitchell: That’s terrific. What we may find out is that that 70 billion that cities and states are giving away every year might be 100 billion, it might be 200 billion? We don’t know, but we’re going to find out with this accounting rule change? Greg LeRoy: New York City alone came out early, and their figure was over three billion for one city. Stacy Mitchell: Wow. It’s astonishing, you know, because I can pull up my local government, my city government website, and I can find out exactly what they spent on garbage collection, on the schools and all this stuff, but they’re effectively spending … When they give a tax break, they’re effectively spending my money but it’s not listed there, and this in a way is going to begin to change that. Greg LeRoy: That’s right. I mean no local government has ever published what’s called in the profession a tax expenditure budget. Most states publish what they call a tax expenditure budget, but you and I cannot compare them. They are not meaningful as documents to hold side-by-side because this same body, GASB, has never set forth any rules by which states or cities should define a tax expenditure of any kind. There are lots of other kinds that are not economic development, right? When you and I take a mortgage interest deduction on our personal income taxes with Uncle Sam, when companies take accelerated depreciation, when companies take R&D credits automatically or renewable energy retrofit credits or whatever, those are tax expenditures too, but there’s no rules by which any of that spending has to be reported right now. This is a beachhead moment. We’ve landed on the disclosure beachhead about tax expenditures and the first kind are economic development tax abatements. Stacy Mitchell: So Greg, I want to end by asking if you have a reading recommendation for us. Greg LeRoy: A friend recently gave me a wonderful little pocket book called On Tyranny by Professor Timothy Snyder, who is a scholar about the rise of Fascism in Europe after World War I. It’s a great inoculation and interpretation of what’s going on with alternative facts today. Stacy Mitchell: Wow. Something you can read on your commute? Stacy Mitchell: That’s great Greg. Thank you so much for being on the show. Greg LeRoy: Thank you Stacy. Stacy Mitchell: Thank you all for listening to this episode of Building Local Power. You can find links to what we discussed today by going to our website, ilsr.org, and clicking on the show page for this episode. That’s ilsr.org. While you’re there, you can sign up for one of our newsletters and connect with us on Facebook and Twitter. Once again, please help us out by rating this podcast and sharing it with your friends. For the Institute for Local Self-Reliance, I’m Stacy Mitchell. I hope you’ll join us again in two weeks for the next episode of Building Local Power.